Which then brings me to the reason for the Downton Abbey photo that prefaces this post. 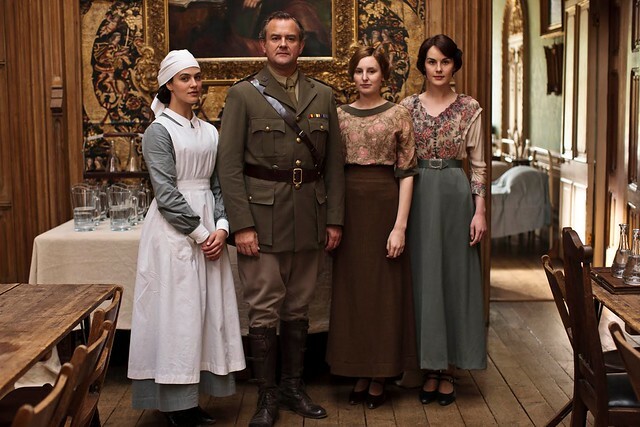 Many fans of the period drama are now seeking Downton read-alikes (h/t Sarah Johnson) and for a brief moment last year, I struggled with the notion of jumping on that bandwagon because *hand to forehead in dramatic fashion* I am not crassly commercial!! Then there was the whole issue of feeling that if I sold books that would appeal to Downton Abbey fans, it wasn’t because I was a good writer but because I tapped into a burgeoning trend. Welcome to the complex world of my mind. Yet, isn’t the whole upstairs/downstairs, aristocrats and housemaids, manor houses and country estates, et al, merely a trope or a convention in and of itself? There are a dozen or more ways to dress this basic scenario into something innately my own, and to traipse back to the Kristen Lamb guest post, I’m just giving readers what they want to read and love–which is my sole job as an author of commercial fiction, isn’t it? As I work on my Bledington Park trilogy and my WWI-set romances, I am being forced to think less of my own ego and more on what the book needs and how to woo and delight my future readers. And hand-in-hand is that old aforementioned war between art and commerce, which will probably never be solved.